A four-string guitar is more commonly referred to as a bass guitar. The strings are usually larger in diameter than a standard, six-string, guitar. This causes the strings to create much lower sounds. Many of the same techniques employed to learn guitar are also used to learn to play bass. It is considered to be easier because most basslines consist of one note being played at a time, instead of chords of three notes or more on the guitar. However, bass is typically played with a different technique, where the strings are plucked with the first two fingers of the hand. Learn how to use the first two fingers of your right hand to pluck the strings of the bass guitar. Get a book, such as one of the many titles on this subject by Mel Bay, for excellent illustrations of how this technique is performed. The two fingers almost look like they are walking across the strings when done correctly. Learn some basic scale runs with the use of a good scale chart. Common scales in popular music are the Minor Pentatonic, or "Blues" scale, and the Major scale. Practice these runs until they become second nature. Always use the correct technique when playing the strings. Use the note chart to learn the notes up and down the neck of the bass. Each string pressed against a fret is a different note. Learning the names of the notes will make it a lot easier when playing with others. Do exercises where you call out a note and then find it in its various positions on the neck. Get tablature for music that you like. Tablature is a method of charting out the notes of a musical piece so it can be played on the bass or guitar. Tablature can be found on the Internet or at your local music store. Try to play along with your favorite songs as you build speed and dexterity. Get together with people that play other instruments and jam. There is only room for one bass player in an arrangement, so find musicians who play guitar or drums. Pick some songs and learn the basslines. Try to put it all together. Practice makes perfect. 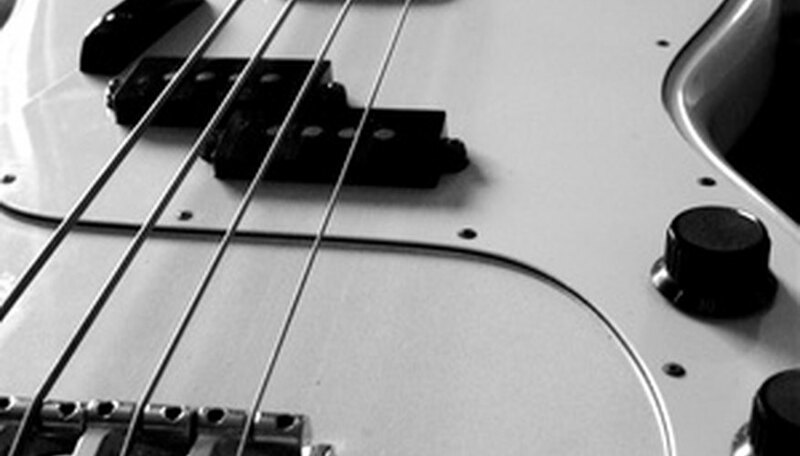 Practice, practice, practice is the key to becoming a fluent bass guitarist. There is no quick way to learn. Blisters may develop on your fingers as you first start out on the bass. Hang in there. Keep playing, and these will turn into calluses and hurt no more.